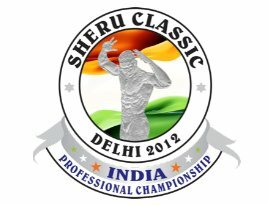 Sheru Classic Professional Championship 2012 is Asia’s only IFBB (International Federation of Bodybuilding & Fitness) Pro League Event and will witness fierce competition between some of the world’s best Professional Bodybuilders, including Phil Heath, Jay Cutler, Toney Freeman and Kai Green. It will see the participation of Professional Women’s Figure Athletes like Nicole Wilkins, Erin Stern, Heather Dees, Felicia Romero and Candice Keene. Apart from the two categories – Professional Men’s Body Building and Professional Women’s Figure – that were introduced last year, two new categories – Professional Men’s Under 212 and Professional Women’s Bikini – have been added to the competition this year. The Championship has been awarded a TIER 2 status event for Olympia qualifier points wherein the points earned by the winners of Sheru Classic 2012 will help them qualify for the Olympia Championship 2013.